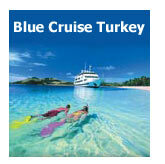 06:30 Pick up from your hotel or agency in Istanbul and head gallipoli. 18:30 We take a ferry across the Dardanelles. 19:00 Check into your hotel and overnight in Canakkale. from the times of Beautiful Helen, the Queen of Sparta, and Paris, the Trojan Peince. 13:00 We arrive at our lunch stop in Pergamum.